Happy Donut Day! My daughter, Dahlia’s, birthday is tomorrow. She will be two. Today, I think back to being in the hospital the day after she was born and remember that we had a visit who brought us donuts because it was National Donut Day. It was a fun day to celebrate her and to have friends and family meet her. This year, she is old enough to eat a donut but I’m not sure she would do well with all the sugar! Shirtdresses have become a favorite of mine lately. This one is so cheerful with the cream polka dots. Since I’m going to have my second girl soon, I am really attracted to feminine clothing. I just cannot wait to meet my little peanut! I hope you all have a great weekend! I will be celebrating my little Dahlia all weekend! 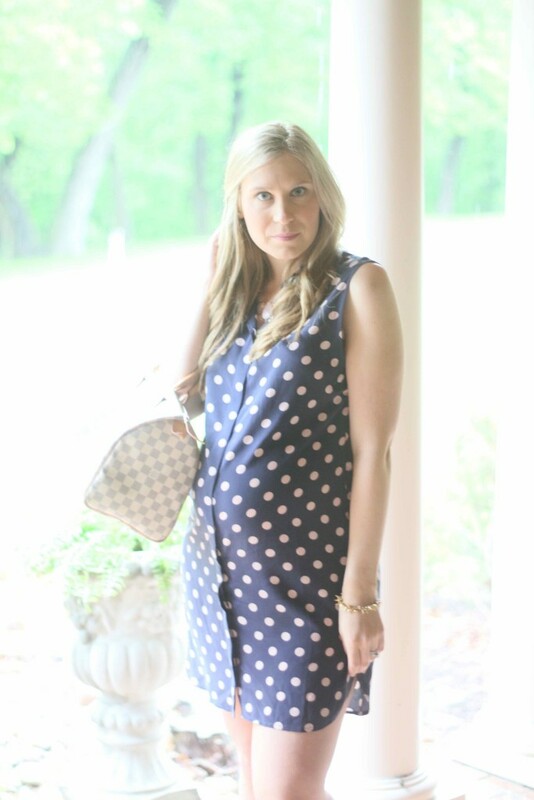 Love this shirtdress!! It is so cute on you, especially with that bump 🙂 Hope you have a great weekend Lindsay! 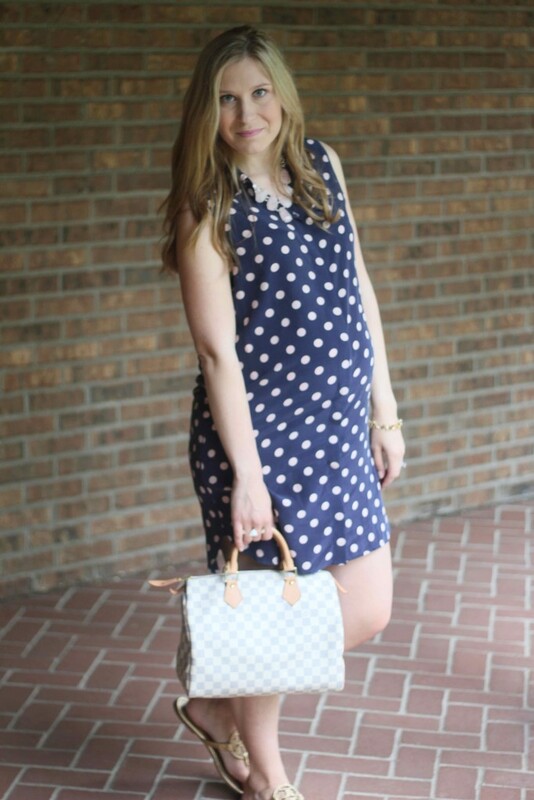 The polka dots are adorable! 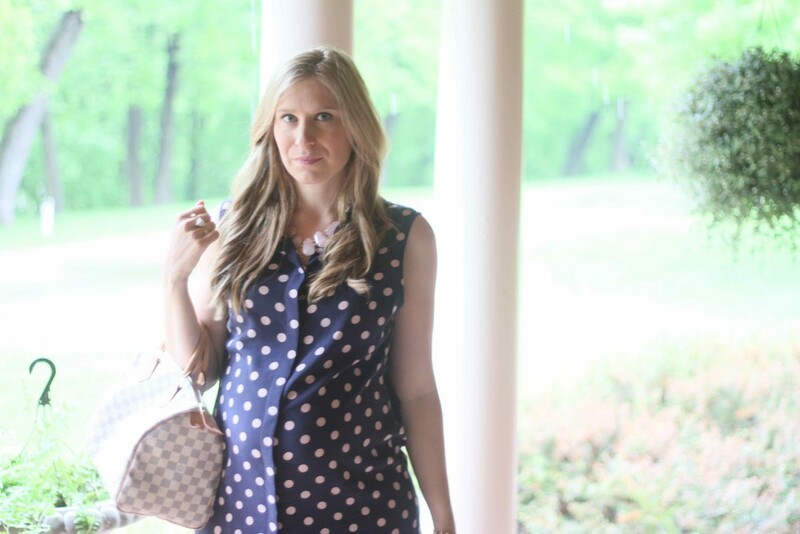 You can’t go wrong with a shirtdress! Have a great weekend! 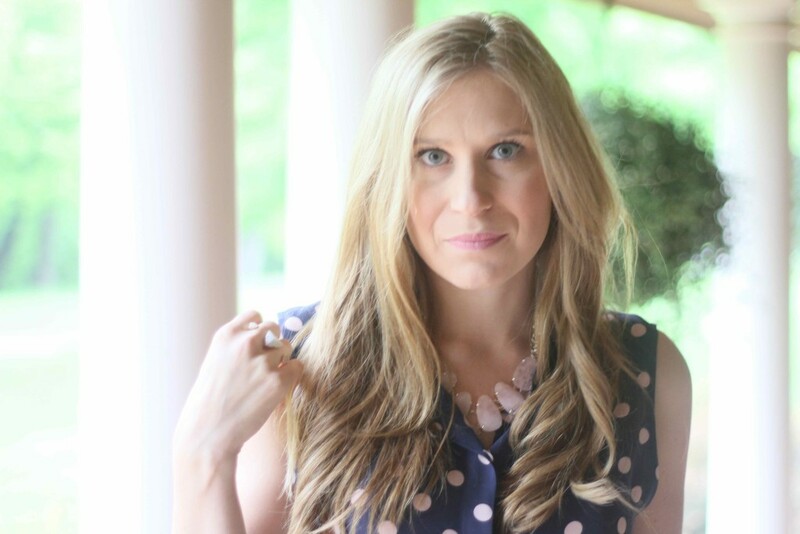 Such a versatile dress! You look great! you look so pretty and Happy Birthday to Dahlia. 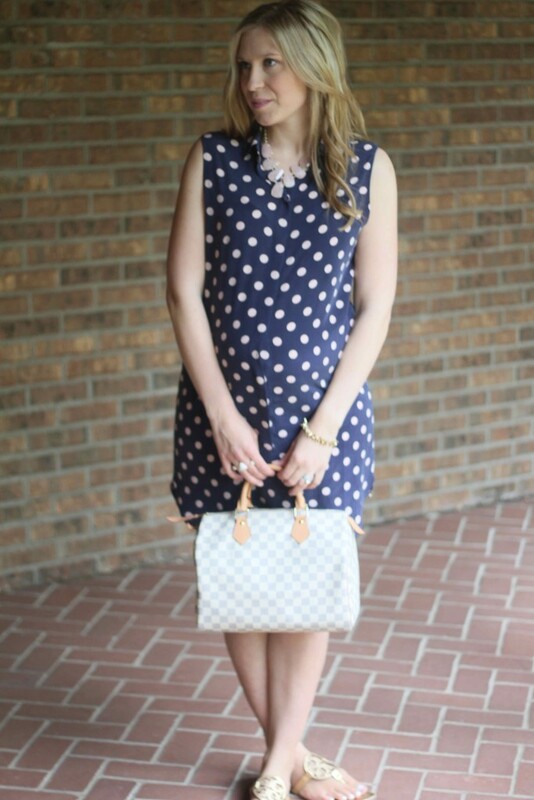 Such a cute polka dot shirt dress! 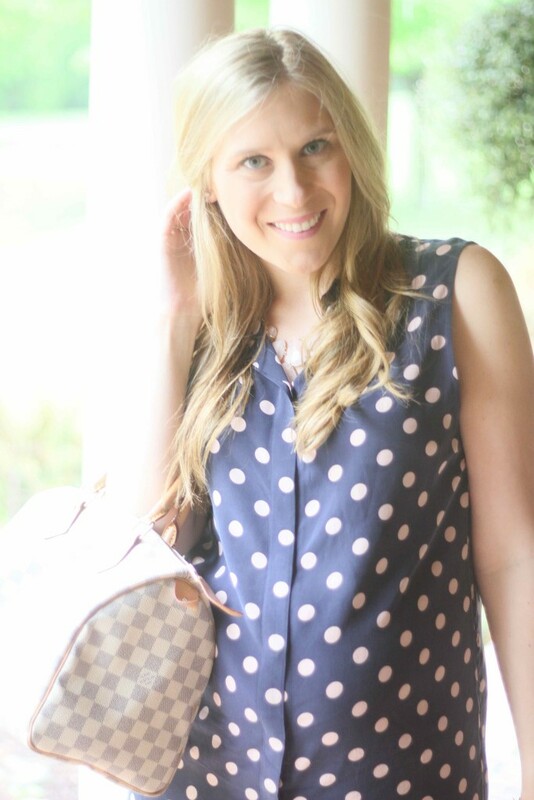 you look so darling in polka dots! such a cute outfit! So a cute look ! i just love it ! 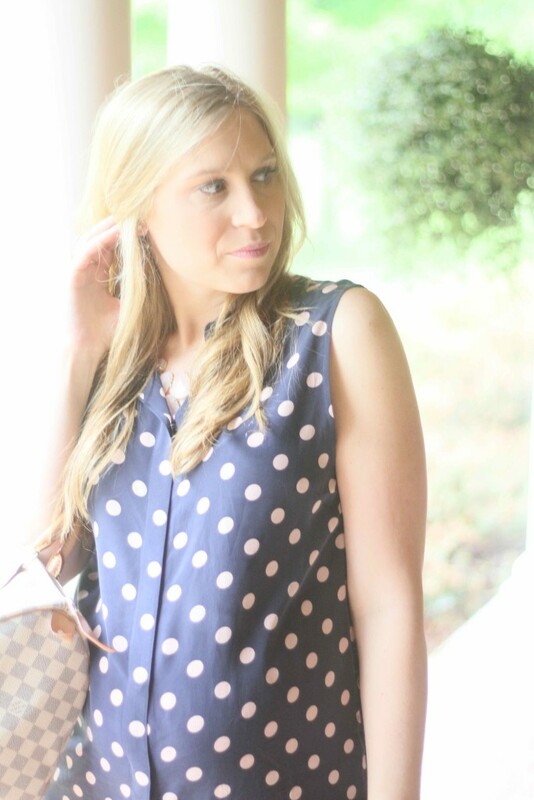 Just loving that shirtdress girly! Hope you had a fun time celebrating your little girl!